1st January Heralds the beginning of Dry January, No not precipitation. The other kind of dry! Cancer Research UK is the prime mover behind Dry Januarybecause alcohol [abuse] is connected to no less than seven types of cancer.The less alcohol one drinks the better, however over the festive season most of us will have pushed the boat out and why not? But this is serious stuff due to some people binge drinking to excess on a more regular basis, perhaps you know someone in this category who would benefit from Dry January? For the sake of all concerned Dry January is an opportunity to have a month off alcohol, hard work we know but well worth the effort. Every year drinking alcohol causes 3% of cancers in people in the UK, but not everyone who drinks alcohol will be affected. On the whole it has been established that some cancers are more common in alcohol drinkers than others. Because people often smoke at the same time the potential impact is so much greater. 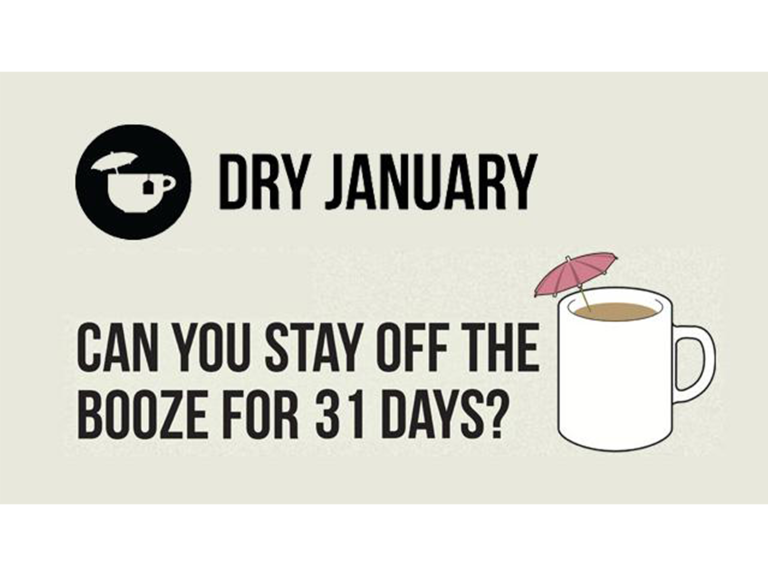 The big question is can you go dry for January?Why not try the greatest test of will power by going alcohol free for the month – 31 days. To give yourself motivation why not combine the challenge with raising much needed and appreciated funds in support of Cancer Research UK who lead the way in developing treatment designed to help beat cancer.Not only will participants raise money is support of life-saving research, but they will have a hang-over free month. So if your New Years Resolution is to get fit this is an excellent way to start! There is a vast amount of supporting materials available to help individuals and group organisers. Check locally, is there a Dryathlon already organised in Taunton or Bridgwater? If so, additional help is always welcome. If not, then why not become an organiser and do your bit for the fight against Cancer and the link with alcohol? Prefer to participate, no problem, go to the Cancer Research site as above and log in, bring your friends along – breaking the dependency on alcohol is best done in company. Dry January and Cancer Research are highly recommended by The Best of Taunton and Bridgwater. We wish you Good Health a Happy New Year and drink a toast to your success with a cuppa!